Have you ever had a desire to see a normal human face contort to the point of utter grotesqueness? Watch me eat popcorn and it will be like witnessing a human perform that snake move where they unlock their jaw to devour their prey. If you come with me to the movies, it is imperative that we buy the overpriced, saturated fats-ridden, salty, not-real-buttered popcorn. Furthermore, if you happen to suggest any size lower than that obnoxious bucket, you will get a glare that radiates with the heat of a thousand suns. No, I never finish the whole bucket. 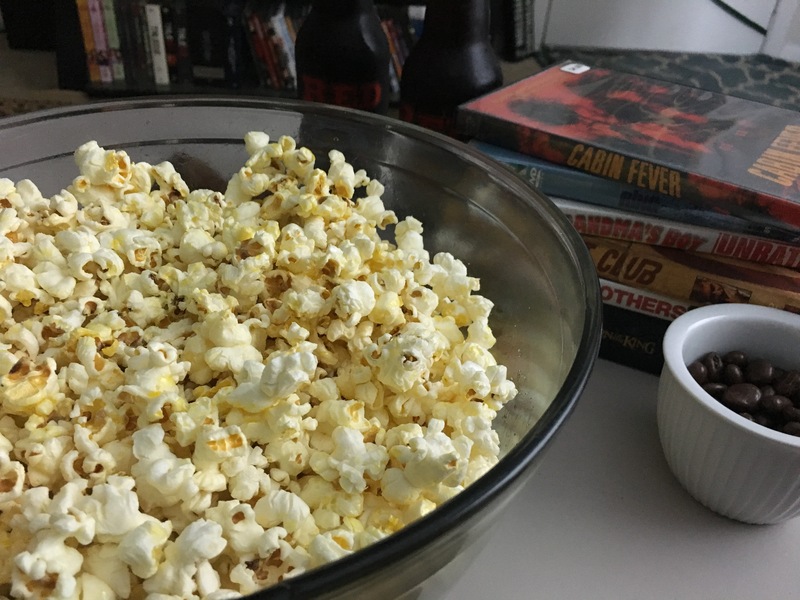 Yes, I realize I’m overspending for an amount of popcorn I’m not physically capable of eating. I. Don’t. Care. Me: I’m sorry. You better get in on this popcorn. This is a particularly good batch and I don’t know that I can restrain myself. 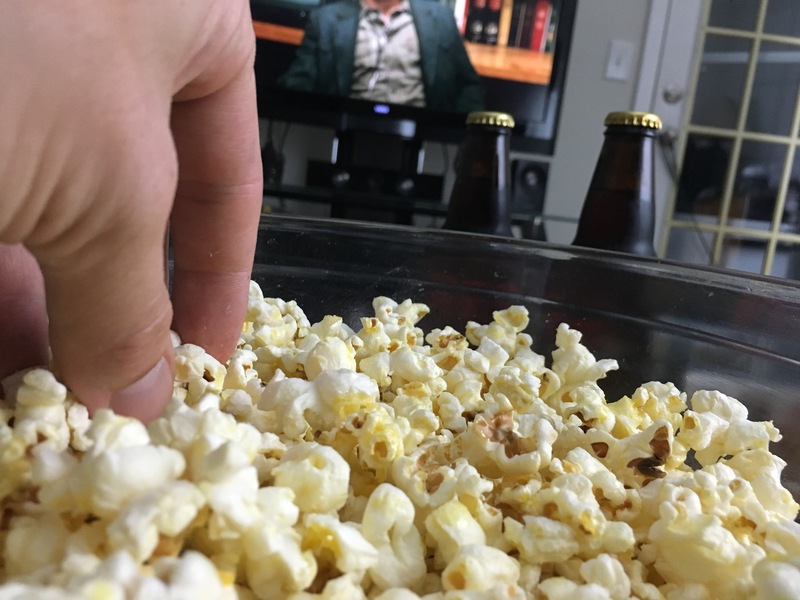 Me: Ah….popcorn is gone….wanna make another bowl? So now enters the man of the hour. Nick. Yes, this is the same man who frequents as a photographer on this blog. He is a man of many talents. He takes pictures, he’s an accomplished skateboarder, an avid dog lover, the comic relief amongst our friends, and witty banter extraordinaire. His most recently discovered talent that trumps all of his other abilities (in my humble opinion) is his popcorn making skills. He has got this process down to a science. He is so consistent and methodical about this popcorn that I dare not make it on my own. I defer to his popping skills because I am not worthy. This popcorn has the ability to make grown people weep. It’s buttery, salty, and a tad bit sweet. There are 5 ingredients and it takes minutes to make. It is the one thing that I beg for and will continue to eat even when my stomach is already to the point of ripping at the seams. At a medium-high heat, melt your coconut oil in a medium pot ( I use a stock pot or a medium sized sauce pan). Let the oil heat for a minute, put in three kernels of corn and swirl around. Once the three kernels have popped, then your oil is at the right temperature for the rest of the popcorn kernels. Remove the pot from the heat and discard the three popped kernels. Pour in the rest of your kernels and shake so that your kernels become thoroughly coated with the oil. Place the pot back on the stove (still at medium-high heat). The kernels should begin popping within in a minute. Do not walk away from the pot because the kernels can burn. Keep swirling and shaking the pan so that the oil and the heat distributes to all of the kernels.Once the popping slows down, take the pot off the heat and let the popcorn rest in the lidded pot for 30 seconds so that if there are any other kernels that finish popping, they won’t fly everywhere. Transfer the popped corn to a large bowl. 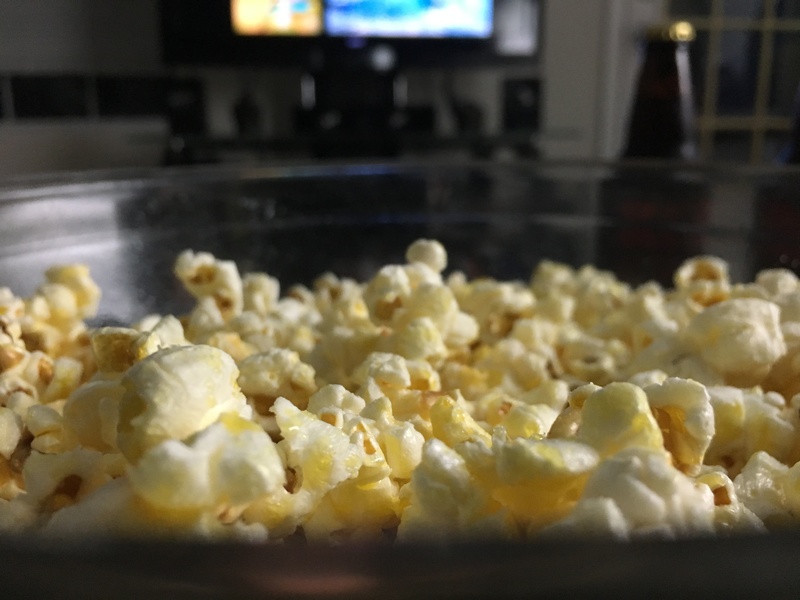 Pour the melted butter, honey and salt over the popcorn. Toss together until evenly coated. 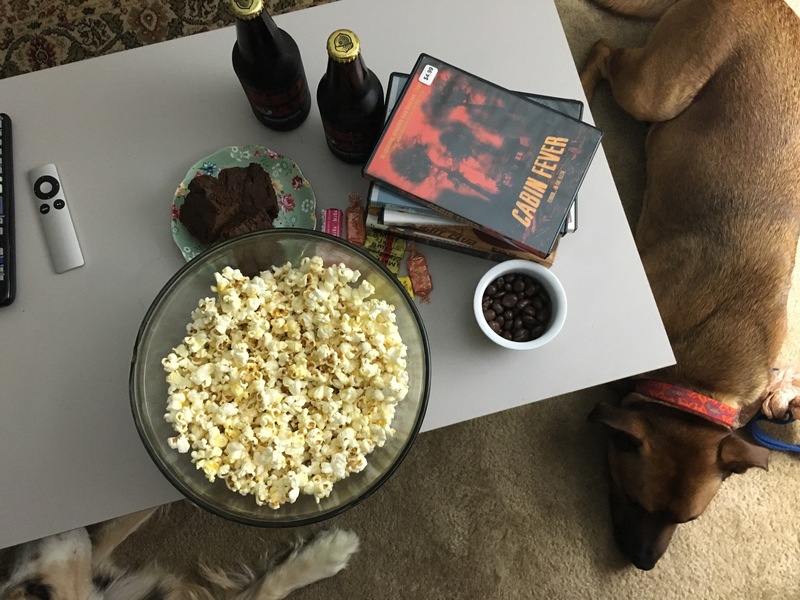 And yes, the volume of the popcorn does decrease as these pictures go on – in case you were wondering. 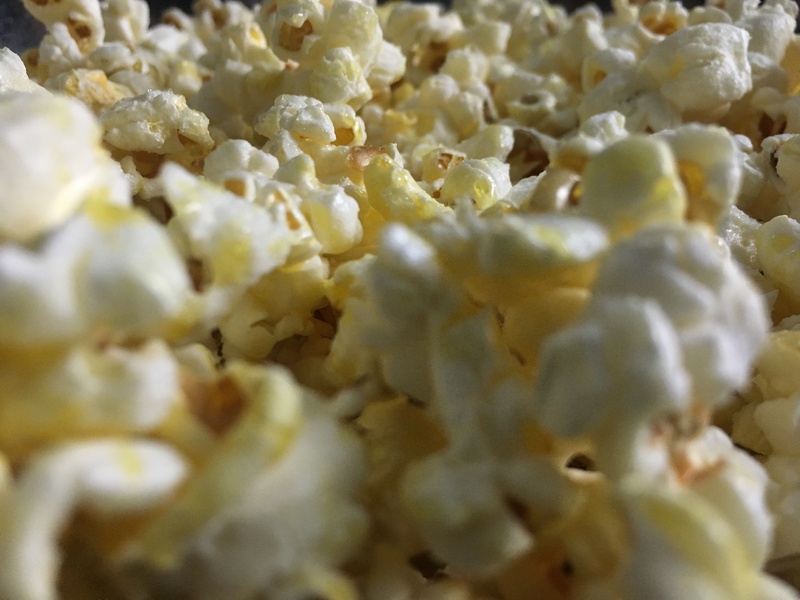 All the lovely photos were taken by Nick W. and the popcorn, naturally, was made by him too! He’s gearing up to start a fantastic apparel company. He’s been working incredibly hard – keep up with him and his progress at goldoakclothing.com and on Instagram @goldoakclothing.